We want to share with you some of the many projects that have been created over the past few years that celebrate fatherhood in it's many forms. 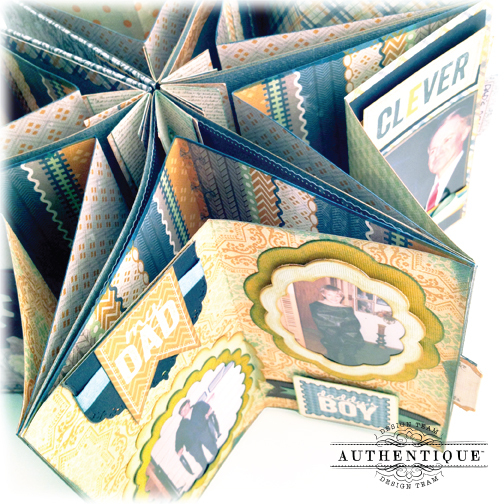 John Petersen created a fabulous mini album that folds out into a star shape using the Strong Collection. Heather Conklin created a hamburger style box that held some magnets with her sweet little girls in it for Father's Day also using the Strong Collection. Shellye McDaniel created a fabulous layout about her daughter and husband also using the Strong Collection. 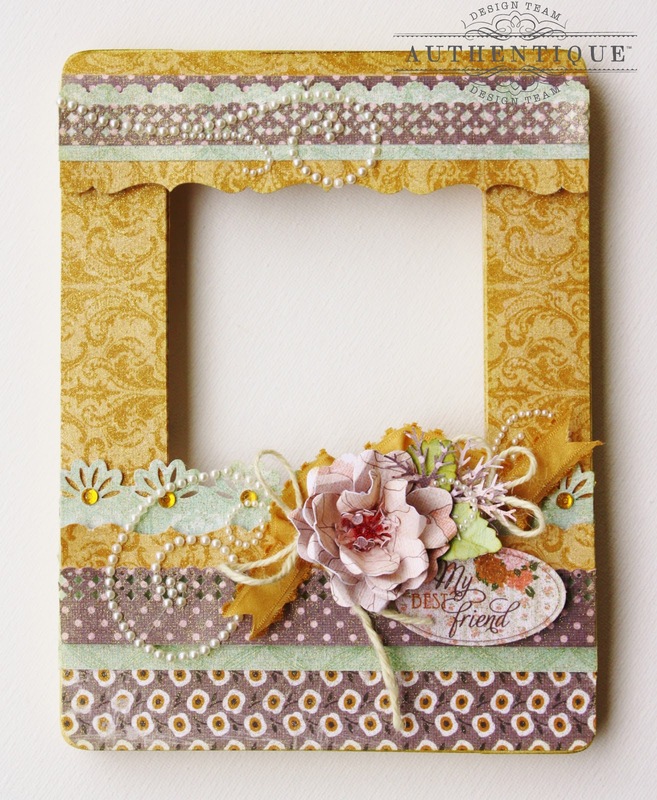 Lastly, Angie Blom created this fantastic altered frame for her parents using both the Grace and Strong Collections. Remember, we have the June Challenge going on right now! We are taking any creations, using any collection, that refer to Fathers and Sons until the end of the month. Please link up your image(s) using THIS BLOG POST. We will post our favorites on the blog. To sweeten the offer, we have a little surprise to send one lucky participant. 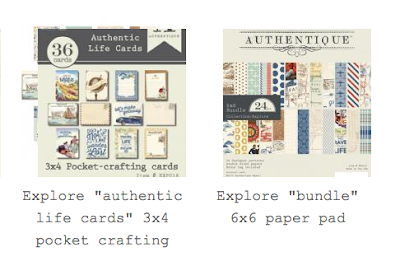 It's a 6x6 Bundle and a set of 3x4 Authentic Life Cards from our Explore Collection! Make sure to link your projects onto the original post HERE.